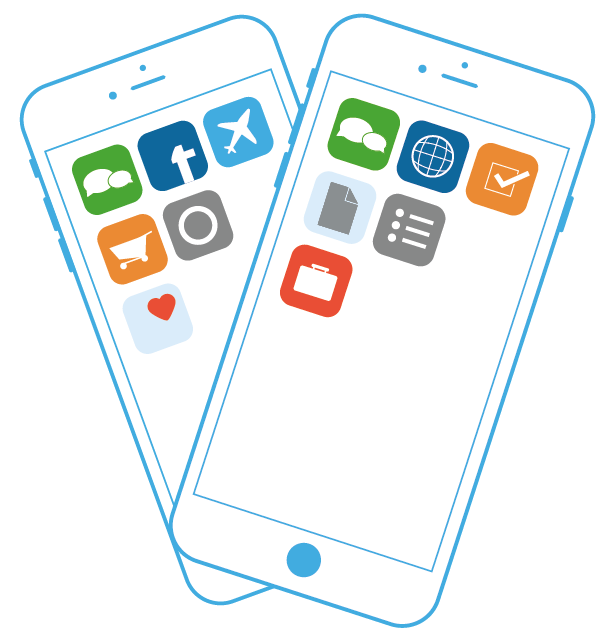 Easy and secure mobile working for small business employees! The stationary workplace is being phased out. More employees than ever before now work partially or entirely from a number of changing work sites, including their homes. This trend is definitely on the rise. The mobile work trend presents huge challenges for IT departments when it comes to managing devices, data protection and – most importantly – security. Companies need a solution which is simple and flexible, both in terms of rollout and daily maintenance, and one which can be adapted to various types of terminal devices and infrastructures. While it’s important that corporate data can be accessed quickly from mobile devices, these devices are also increasingly targeted by hackers because of their limited security. Furthermore, mobile devices can be lost or stolen, and it is critical for companies to prevent the wrong people from accessing their data and other assets. Bring Your Own Device (BYOD) arrangements are increasingly popular because of their flexibility and cost-effectiveness for small companies and for their support in the form of secondary devices. Sometimes companies also wish to provide freelancers or short-term contract employees with access to company applications. Corporate-Owned, Personally Enabled (COPE) devices, such as smartphones, provide employee access to important company data. Employees may also be granted privileges to answer personal emails from these devices. 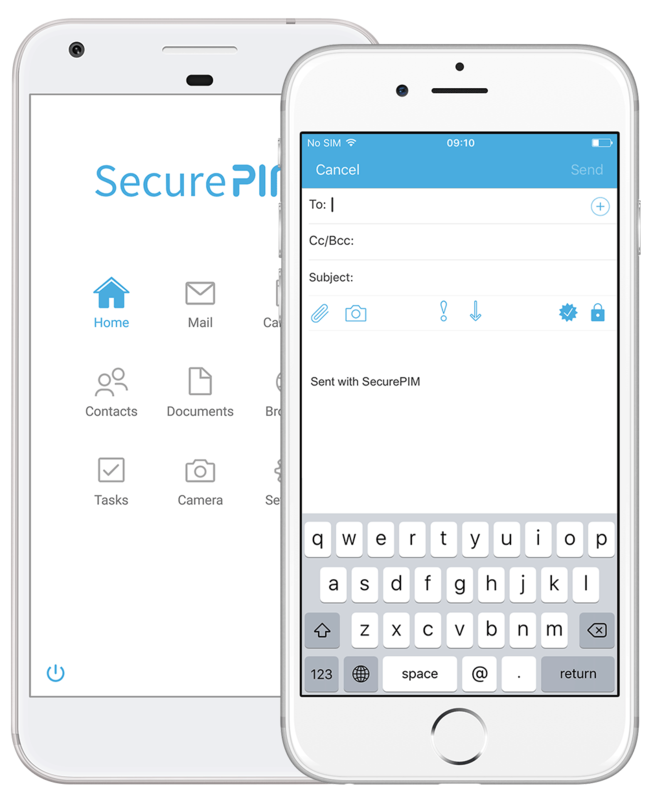 SecurePIM stores emails, contacts, calendars, notes, tasks, documents and company intranet access on a smartphone or tablet (iOS and Android™) in a secure, encrypted Container area. Administrators, employees and compliance managers all benefit from the easy management of SecurePIM. The SecurePIM Management Portal enables administrators to easily define the security rules in the SecurePIM app. They can also grant or deny corporate data access privileges on devices with the SecurePIM Gateway. If an employee leaves the company or a device is lost or stolen, corporate data inside the SecurePIM Container can be remotely erased without infringing upon the employee’s personal data.